Wherever I go, I see properties with a nice house but not much landscaping around it. Why is this? Maybe it’s because homeowners not only have limited resources, but also because people aren’t sure how to even begin to create the landscape of their dreams. That’s where Home Outside comes in: it makes expert landscape design affordable, with our groundbreaking free landscape design app and our one-of-a-kind online design service. Different than professional CAD-based design programs that require expert knowledge, the app lets you tap and drag 700 hand-drawn elements that are part of every property, including houses, driveways, paths, patios, and plantings, all the way down to the compost pile. You can create the landscape you love by downloading our free app from iTunes or GooglePlay stores or by working remotely with our Home Outside team to master-plan your whole property or create a conceptual design for your front or back yard. In an age when people are surrounded by digital devices and screens, time and space in the out-of-doors are essential to our physical, mental, and even spiritual wellbeing. 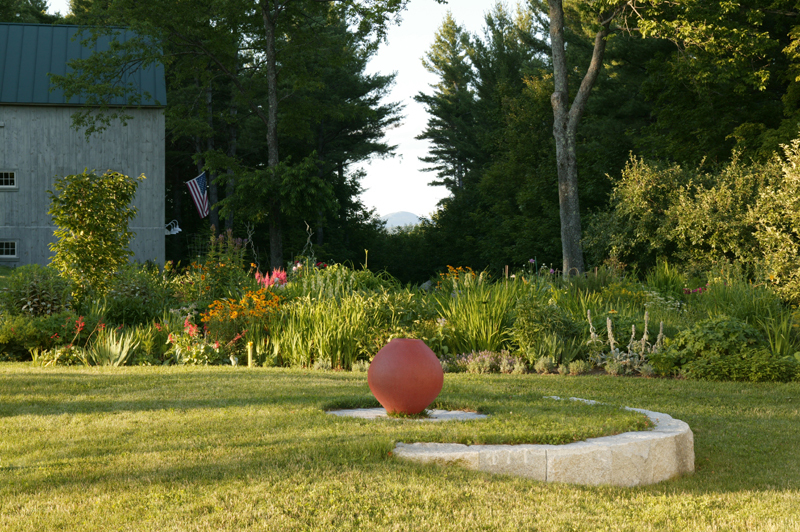 One way to engage with nature is to create a landscape around your house that draws you and your loved ones outside. We all want a landscape that works well with our particular site, dreams, and lifestyle—let Home Outside help you today! Photo by Alex MacLean, from Home Outside: Creating the Landscape You Love by Julie Moir Messervy (The Taunton Press, 2009).